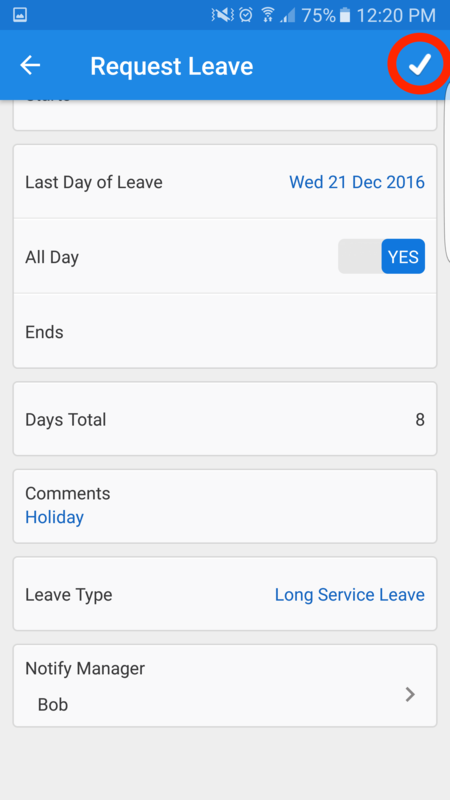 To apply for leave using the app, you must first ensure that you have downloaded the app itself, available here for iOS and here for Android. 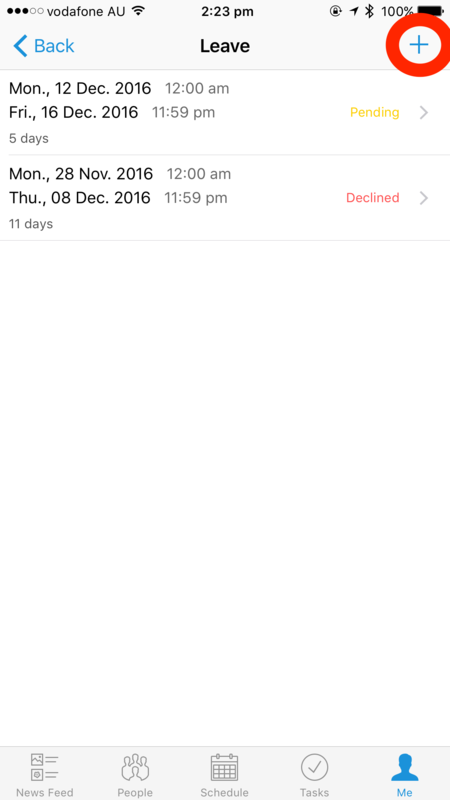 You will only be able to log in to the app after you have accepted your email invitation to Deputy, which is sent by your administrator. If you are unsure as to whether or not you have been invited, please check with your administrator. Navigate to the Me tab, found in the lower right corner for iOS. 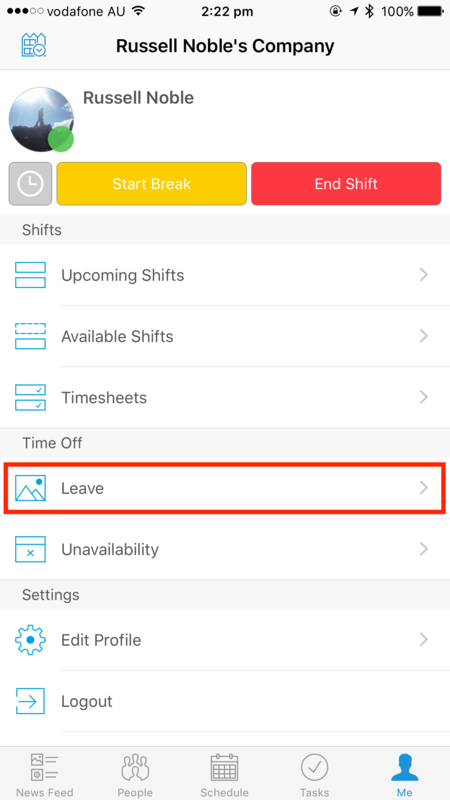 On the Me tab you will see an option reading "Leave" as shown below. 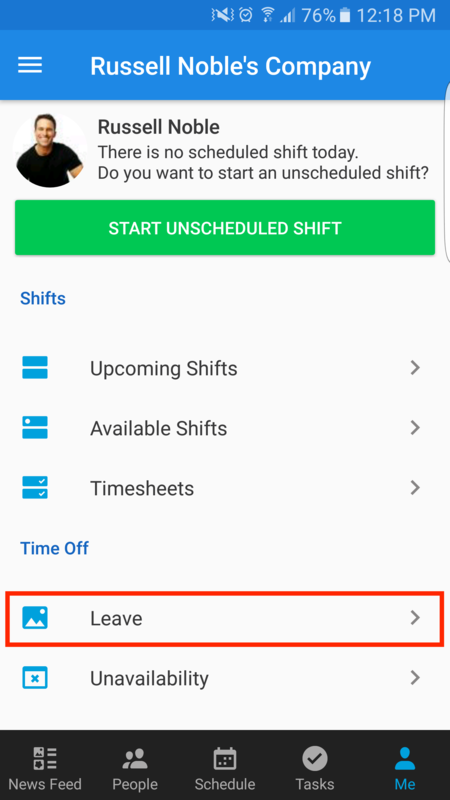 Please click the Leave option to open a leave request. Here you will see your current leave requests. 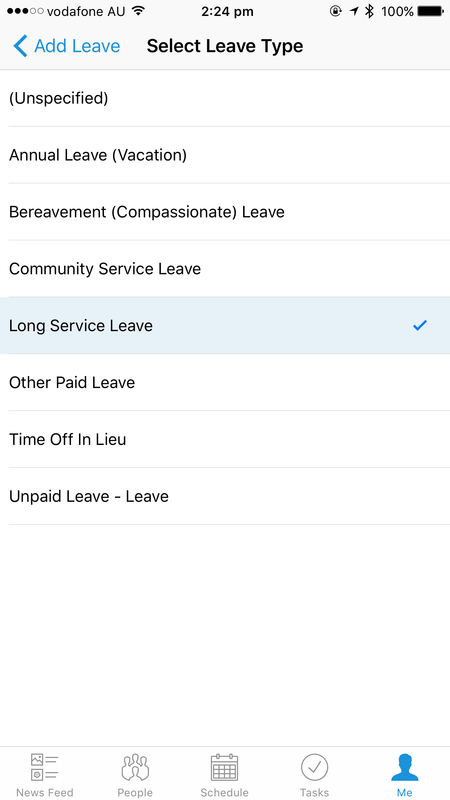 To add a new leave request, tap the '+' icon in the top right-hand corner. 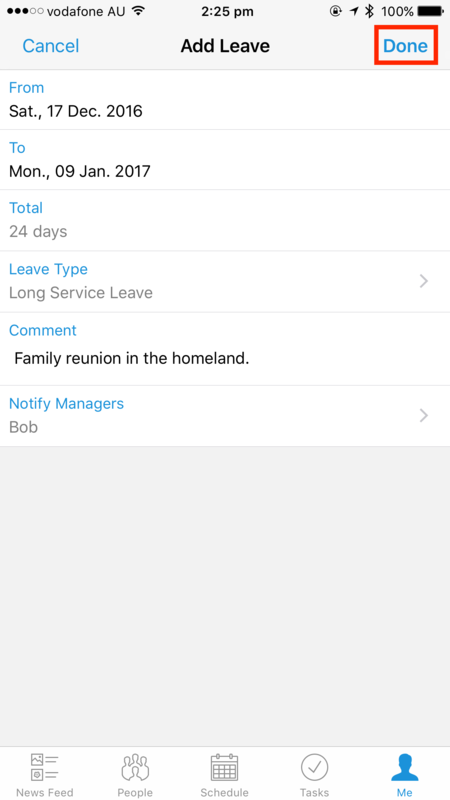 In the next screen, you can enter your leave details, including dates, comments and who to notify. You can also specify the Leave Type. Simply tap Leave Type and a list will appear, where you can select the type. 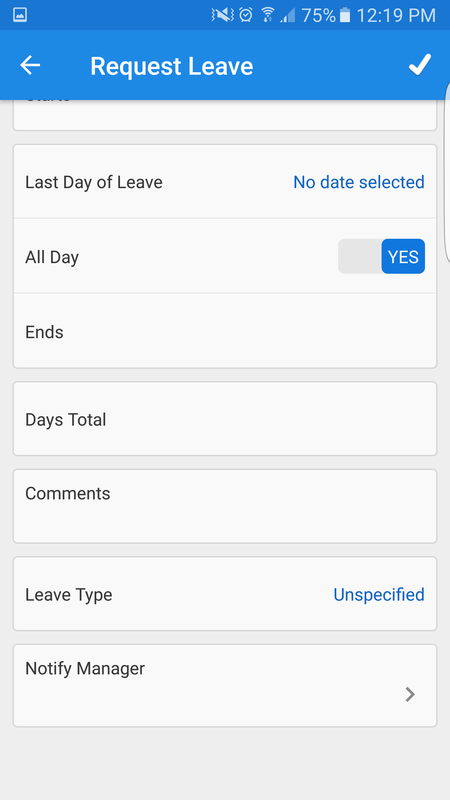 After selecting Leave Type and filling in the details, tap 'Done' to complete the Leave Request. 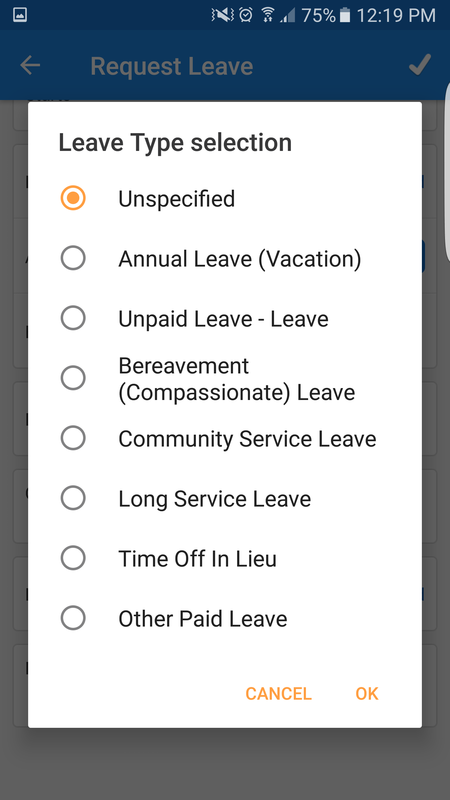 In this tab, you will see your current leave requests. Tap the icon in the bottom right-hand corner to add a new request. 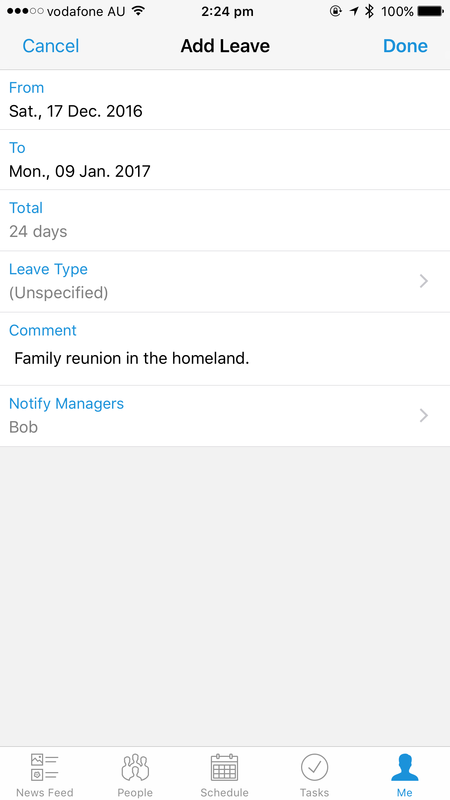 On the next screen, you will need to add details about your leave request, from the start/end dates, the manager you want to notify, as well as any additional comments. After you have selected your Leave Type, tap 'OK'. 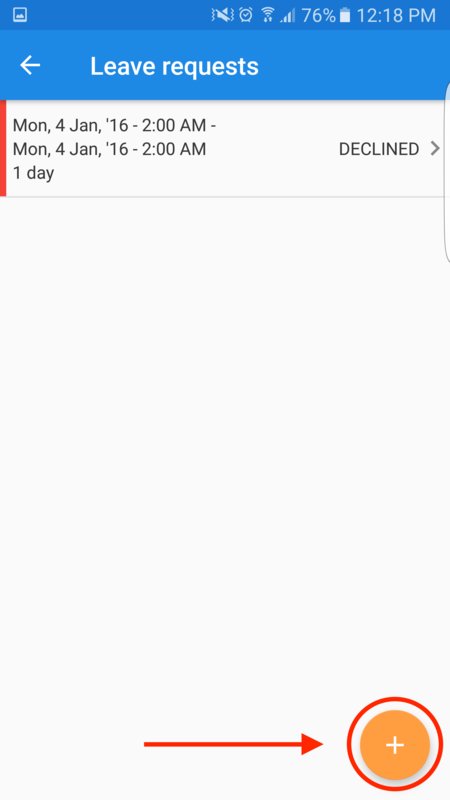 Confirm that all the details are correct, then tap the tick icon in the top right-hand corner to send in the leave request.